Historical fiction comes in many shapes and sizes. Like science fiction and fantasy, it can simply provide a backdrop to familiar themes such as girl-meets-boy, road trip, coming of age, man or woman against the odds, or a clash of cultures. It also can open the door to an imagined world, giving us a brief escape from the routine of our lives or the problems we’re facing. And it can reflect on current societal issues in a nonthreatening manner by letting us view them through a distant lens. But historical fiction can do something other fiction genres can’t do. When it puts a face to the facts of history, it can flesh out real events and times gone by, letting us experience and understand the past in a way no textbook ever could. And, at perhaps its highest calling, historical fiction can serve as an uncomfortable, but necessary, reminder that the worst of history repeats itself when we ignore the lessons of those who walked before us and refuse to confront the monster in our own mirror. In this role, historical fiction collides with the present. 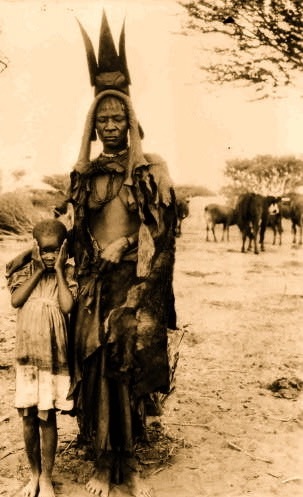 I see that happening now with my historical novel, Mama Namibia, which is based on a real-life Herero girl who survived the first genocide of the 20th century, especially as the Herero and Nama continue their demands for the German government to accept responsibility for the 1904-1908 genocide. But Mama Namibia’s collision with current events extends beyond Germany and present-day Namibia. Over the past few months, I’ve covered a number of congressional hearings in which U.S. lawmakers, both Democrats and Republicans, blasted government officials for taking children away from parents seeking asylum at our southern border. A similar policy was in play more than a century ago in what was German South-West Africa. Then, the Herero and Nama families being torn apart weren’t would-be immigrants. Their dream was to live life as they always had in the land of their birth and the home of their ancestors. “Word quickly spreads through the town that there are a number of children among the new prisoners. Settlers and soldiers pour into the camp to inspect the children, especially the boys. They claim the healthiest ones to serve as their Bambusen. The young children cling to their mothers as the Germans pull them away. The mothers watch helplessly as their young sons and daughters leave the camp, knowing they will never see them again. The children are to become slaves to their German masters…. Kov quiets his anger at what he witnessed by telling himself that at least the children won’t die in the camps. In the following months, he copes by turning a blind eye to the German policies. Although the circumstances differ in the U.S. today, the terror the children and parents feel is very much the same as that experienced in the concentration camps in German South-West Africa. And while the separation in the U.S. is supposed to be temporary, it doesn’t always end that way. The U.S. policy of using such separations to deter would-be refugees grew out of a government practice involving “unattended undocumented minors.” While we’ve justified or turned a blind eye to that practice for years, some of those children have “fallen through the cracks” or become prey to human traffickers. Because of our past silence, the current administration was encouraged to escalate that practice – until we could no longer look away. As the cries of the Herero children and mothers mingle in my mind with those of the children and parents looking for asylum in the U.S., I wonder what other lessons of history we’ll ignore until it’s too late.